The Non-Aerosol sprayer is an economical alternative to aerosols for dispensing release agents, water, solvent and oil-based materials. It is a faster, labor-saving way to cover large models or molds that delivers release agent in a fine mist. The durable aluminum casing can deliver both solvent-based and water-based systems without rusting. 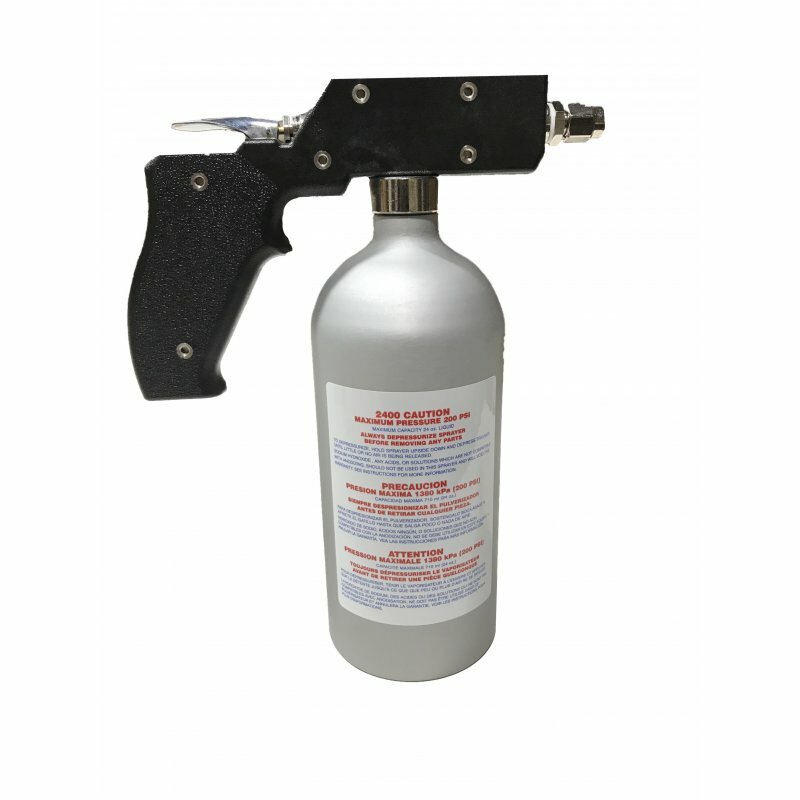 The Non-Aerosol sprayer come standard with an adjustable nozzle and feature a chemical resistant anodized finish. *sprayer not recommended for use with paints. Vibrating table bushings VTB 24 Set - 4 molds Rubber bushing forms size:&nbs.. Product description Efficient and stable, steel core, high hardness. Long service life and v..